Leading energy company British Petroleum (BP) is contemplating collaborating with blockchain-based firms managing Initial Coin Offering (ICO) projects. The U.K-based company is also testing its own tokens internally according to an official of BP. Julian Gray, BP’s Technology Director, while speaking at a Blockchain Expo in London disclosed that non-financial companies are more open to new blockchain-based innovation than their financial competitors. “We haven’t done anything with public chains yet. But that doesn’t mean we won’t. We have done a proof of concepts using tokens internally, transferring value.” He explained. The tech director hinted that his department is ready to work with blockchain startups that have some experience with ICO projects, noting that there are some individuals although few who actually understands the benefits of blockchain technology in improving BP’s public system. “Would we partner with people who are doing this stuff? Yes, I think so. Not right now, but I wouldn’t be surprised if we did,” he disclosed further. While responding to Julia Gray’s speech, Lewis Cohen, a partner at Hogan Lovells, expressed his surprise and excitement about the company’s decision, declaring that the players in the financial sector are too much in opposition to blockchain and ICO projects. He believes that with proper guidance, companies can successfully adjust to the digital industry. 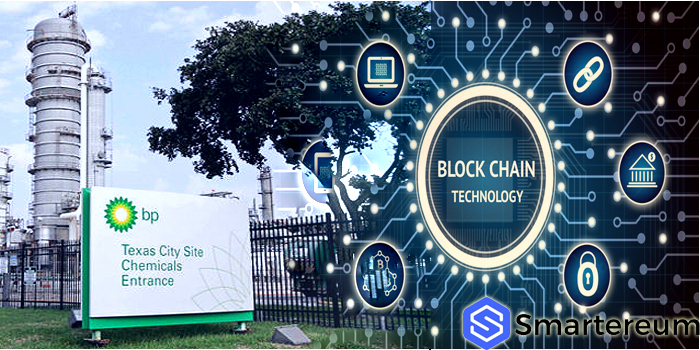 In November 2017, Reuter reported that British Petroleum (BP) alongside Royal Dutch Shell and other energy companies will develop a blockchain-based digital platform for energy commodities trading expected to start operations by end-2018. The consortium is made up of Norwegian oil firm Statoil; Trading houses, Gunvor; Koch Supply & Trading, Mercuria; and banks ABN Amro, ING and Societe Generale. “The platform aims to reduce administrative operational risks and costs of physical energy trading, and improve the reliability and efficiency of back-end trading operations…,” the report stated.